Sometimes, architecture really is for the birds. I began looking up into the sky one day while passing Yerba Buena Gardens and was amazed by a swarm of starlings shifting through the air. Since then, strolling down every San Francisco street feels like a nature walk, and every building looks like a potential home for all manner of creatures. 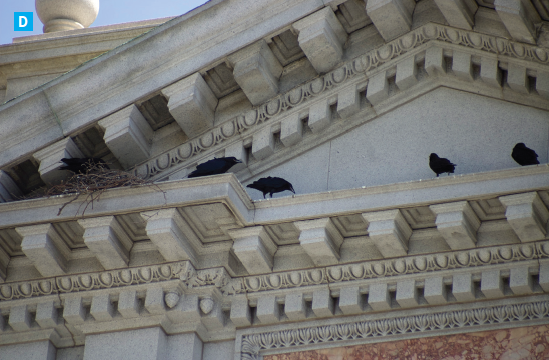 I really got hooked when I stopped along my commute one day to watch a raven soar and then fly into its nest on a courthouse in downtown San Francisco. Over a couple of months, I watched the spectacle of four chicks hatching, leaving the nest and dispersing into the wild above the heads of my fellow city dwellers. I waited impatiently the next year, wondering where they’d gone and if they’d come back. They did, but only to be driven off by a small gang of crows, whereupon I noticed a different sort of spectacle: the argument over the vertical spaces we have created with buildings and trees. 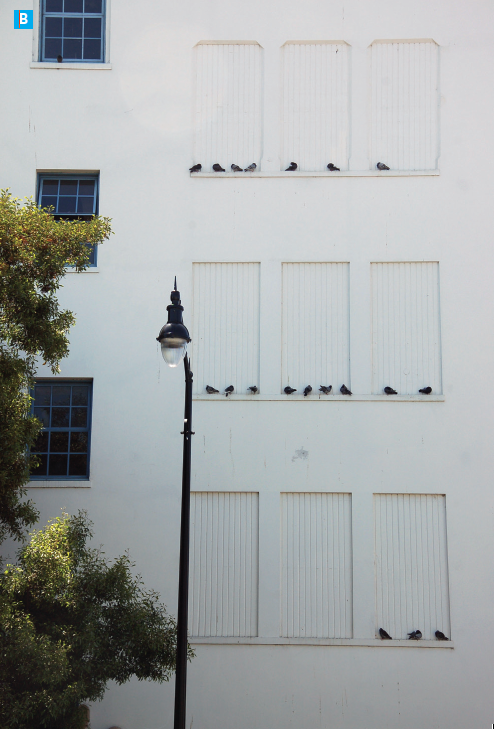 I discovered hawks nesting on Ninth Street, as well as ravens nesting on City Hall and in Union Square and taking over Cow Palace as their own playground, groups of crows interspersed — and vigorously defending their territories. Among other species, I observed pigeons and western gulls, Brewer’s blackbirds and European starlings. There’s no question that there's plenty of nature living in our built environment — and not just birds but raccoons, skunks, owls, bats and more. 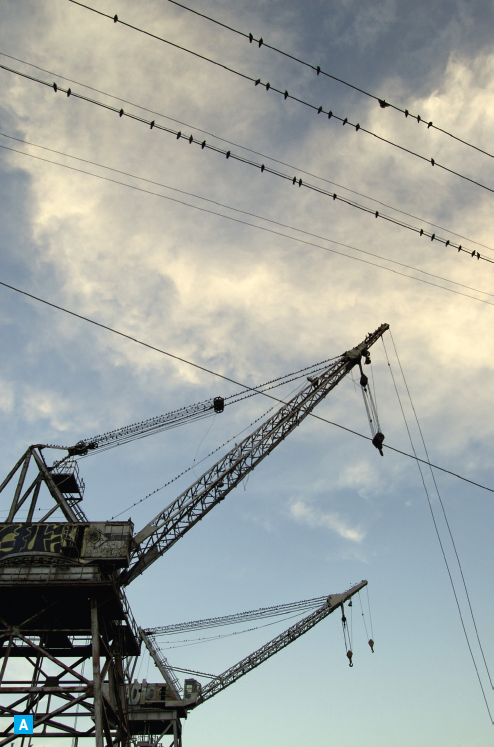 On an October day, a flock of starlings settle onto the wires and cranes of the shipyards along Third Street. Their flocking does not seem to happen in any consistent place, though they do seem to gravitate toward a few trees outside San Francisco's Main Library. Despite all the countermeasures we take to keep pigeons off our buildings, they always find a workaround. Pigeons are almost as despised as rats, but I can't help but be amazed at their tenacity and the beauty of their flight as they swoop down through the unnatural canyons of our cities. 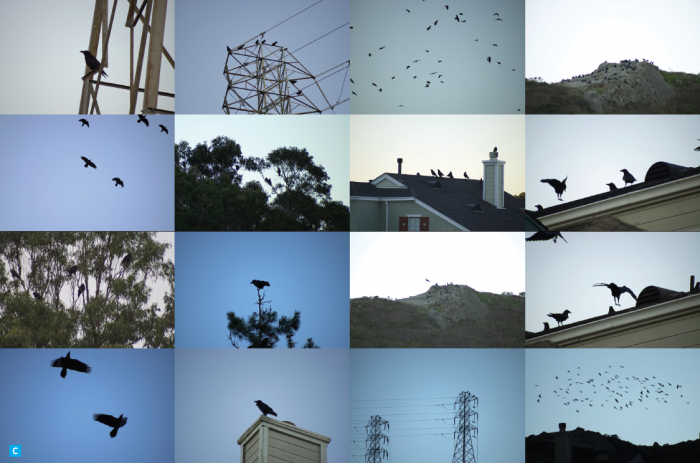 One day in December, dozens of ravens play in the Bayshore, nesting in trees around the Cow Palace. 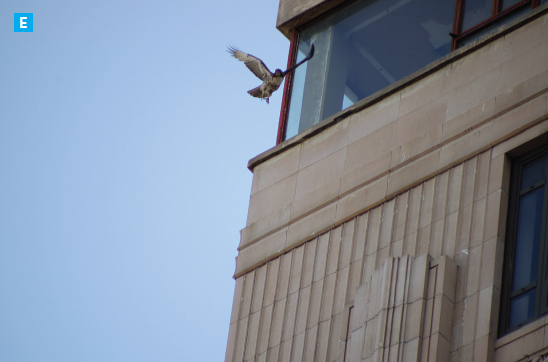 I first noticed them when going to the Bike Expo there, watching up to 50 ravens play in the updraft of the building. Four fledglings and a parent wander about atop the federal courthouse at Ninth and Mission — this was the group I watched for a few months on my commute to work. Tragedy struck when one of the nestlings left the ledge and was run over. The first time I saw the hawks living on Ninth and Market, one of them was flapping about awkwardly gripping a pigeon in its talons, while the other followed closely behind hoping, perhaps, for a piece of the action. When not in their nest, this pair can often be found sitting on flagpoles across from the Federal Building on Seventh and Mission or the bell tower at Mission Dolores. Adrian Cotter works as a web developer for the Sierra Club, but spends a good amount of time wandering city streets and trails and drawing and photographing the natural and unnatural things he finds there.